Don’t let anyone steal your joy! 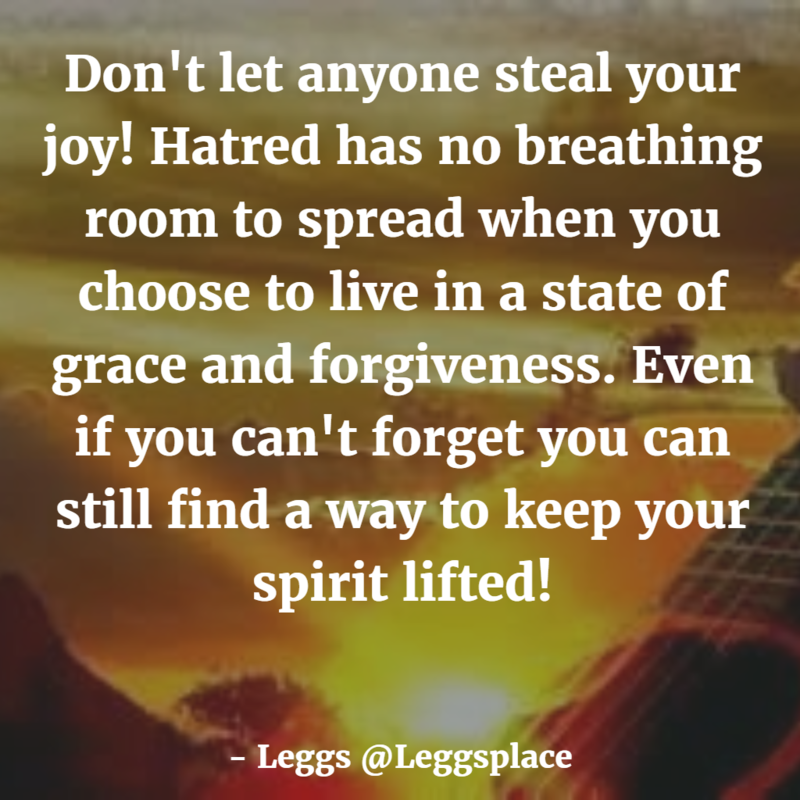 Hatred has no breathing room to spread when you choose to live in a state of grace and forgiveness. Even if you can’t forget you can still find a way to keep your spirit lifted!